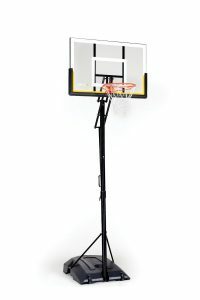 This 50 inch basketball hoop is SKLZ offering in the portable system class. 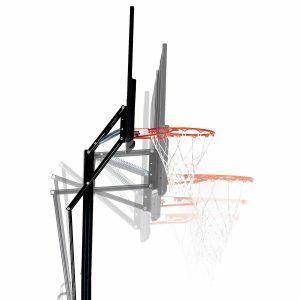 With a shock absorbent rim, shatterproof backboard, SKLZ promises a professional feel when playing on this hoop. 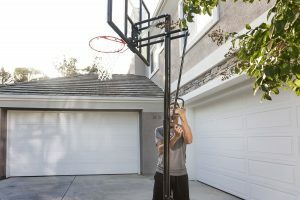 It promise stability and portability, 2 factors that rarely go hand in hand when talking about portable hoops. Let’s see if their claim is true. Check the latest price from Amazon here. Installation is difficult for this hoop system. The directions are a bit complicated and some of the parts are mislabeled which made installation confusing. There are also reported cases of missing parts which requires asking SKLZ to have them shipped to you. Better to check all the parts first before starting assembly of the system. 2 or more people are recommended to get this done in a few hours due to the size and weight. Height is adjustable from 8 feet to 10 feet in 6 inch increments. Adjusting it is quite easy thanks to the quick release adjustment. Very hard to move around due to the massive size and weight. 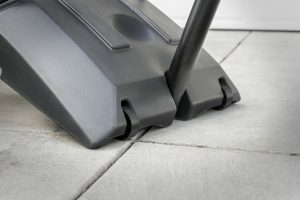 Remove water or sand first before attempting to move it and also lower the height. Having only 2 wheels certainly does not help in its movability. It’s a very good looking basketball hoop. Looks professional and the finish is nice. Build quality is excellent and you could tell that this portable will last for years. The backboard does not wobble too much compared to other portable goals. The protection pads around it adds to the nice and professional look. 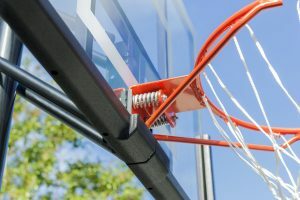 The shock absorbent rim can certainly handle dunks, but of course being a portable, it’s not really advisable. The SKLZ 50 Portable Basketball System is not perfect, but it has a lot of good things going for it. From the solid, heavy-duty build, to its quick release height adjustment, it is really value for money. while it may not be at the top of its class, it is certainly up there especially with its price tag, making it hard to beat due to its cost-value ratio.